The Division of Pediatric Hematology/Oncology is supported by the Herman & Walter Samuelson Children’s Hospital at Sinai, one of the most comprehensive pediatric departments found in a community hospital, which includes numerous specialists and a 10-bed pediatric intensive care unit. 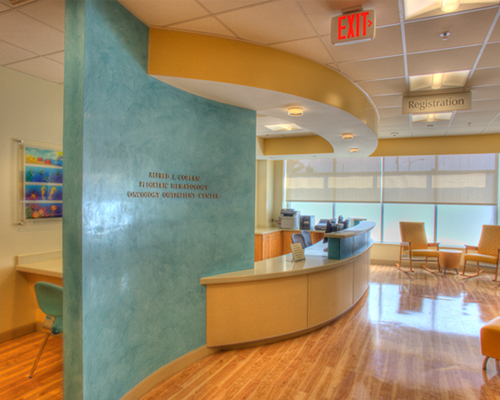 The Alfred I. Coplan Pediatric Hematology Oncology Outpatient Center provides a large, bright and friendly space for our littlest patients and their families. The center embraces a patient- and family-centered approach by providing better exam and infusion facilities for patients and their accompanying family members. We support a family-centered care approach built on partnerships between families and health professionals during and after a child is treated for a diagnosed illness. We have found that family-centered care improves and enhances clinical outcomes for children with special needs and provides more support for families as they deal with the challenges of raising a chronically ill child. Our location near the main hospital entrance provides easy access to other hospital services as well as the Alvin & Lois Lapidus Cancer Institute, home of the outpatient infusion center. Both areas share the same laboratory and pharmacy. The Samuelson Children’s Hospital also offers our patients the Bridge Clinic for pediatric cancer survivors two or more years off therapy. 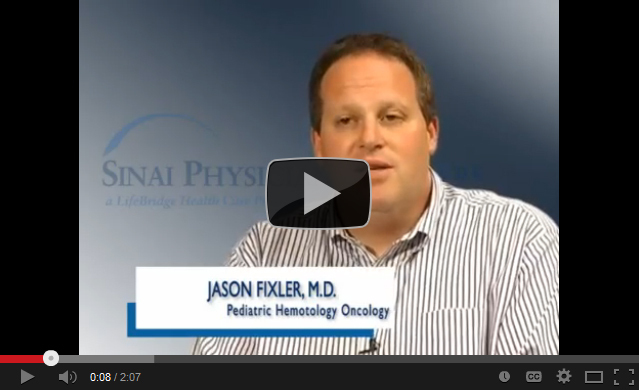 Dr. Jason Fixler discusses pediatric hematology/oncology at Sinai Hospital. 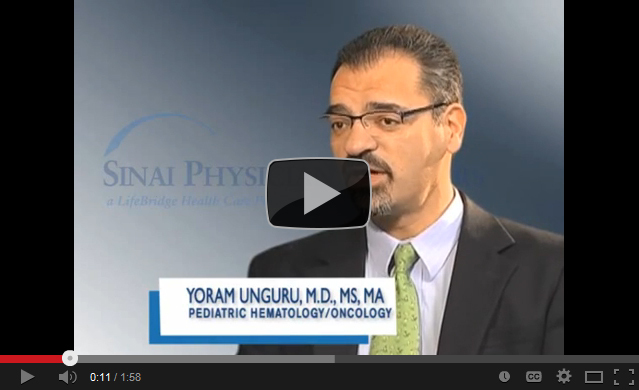 Dr. Unguru discusses his role as a pediatric hematologist/oncologist. 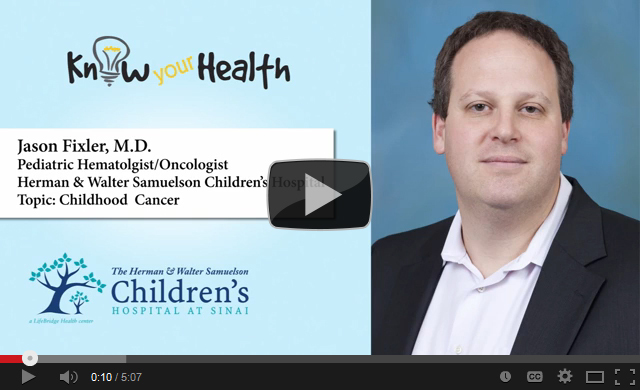 Dr. Fixler discusses childhood cancer.